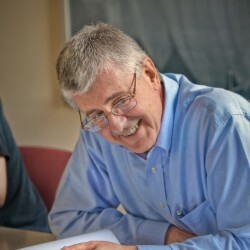 Stewart Goetz is Professor of Philosophy at Ursinus College. We invited him to answer the question “What norms or values define excellent philosophy of religion?” as part of our “Philosophers of Religion on Philosophy of Religion” series. One of my mentors once advised me that one cannot do good philosophy of religion without doing good philosophy of mind and action theory. It is in the light of his advice that I address the question “What norms or values define excellent philosophy of religion?” A consideration of kinds of norms informs a consideration of kinds of explanations. For many, the philosophy of religion is first and foremost concerned with religious belief (as opposed to practice), how it is arrived at, and what norms or values governs this arrival. How belief is arrived at (how believing occurs) concerns its explanation. The philosophy of mind reveals that believing is causally determined, so that one is directly a patient with respect to what one believes. What is involved in this causal determinism? When one infers B by apprehending, say, “If A, then B” and “A,” and one also believes A, the apprehension and belief directly causally determine a belief in B. There is fundamental and irreducible mental-to-mental causation where, given the apprehension and belief, one reasonably (a norm or value) infers belief in the conclusion in the sense that one’s reasoning conforms to a logically valid rule (standard) of inference. Failure to apprehend the rule (e.g., through inattention) typically results in mental-to-mental causation that fails to track the rule. But given apprehension of the rule and belief, one cannot help (because one has no direct control over) believing the conclusion. This mental-to-mental causation in turn results in fundamental and irreducible mental-to-physical causation in the form of the production of events in one’s brain. Thus, when one makes inferences (reasons), one is aware of mental-to mental causation, and this produces mental-to-physical causation. What do these general points about inferred belief have on the specific issue of religious belief? They raise questions about what is an acceptable explanation of religious belief. The contemporary philosophical naturalistic worldview requires an explanation of religious belief in terms of evolutionary advantage. An acceptable explanation of religious belief must ultimately be a physical-to-physical or physical-to-mental causal explanation. Most generally, naturalists claim that purposeless variations causally produced beliefs of a religious nature (e.g., beliefs in souls, spirits, gods, and/or God) that happened to be advantageous for survival and reproduction. The idea that people might have inferentially arrived at such beliefs is excluded from the outset. Not surprisingly, contemporary naturalists also maintain that religious beliefs are false. If what explains these beliefs is their adaptive character, which is blind to the truth-value (a norm) of the beliefs, their truth, while not impossible, would be nothing more than a fluke or accident. But if one infers beliefs in non-religious domains, why think people cannot inferentially arrive at their religious beliefs? And what about a belief in naturalism. What explains it? Do its adherents reason their way to it? They believe that they do, because they put forth arguments in support of it. But if consistency (another norm or value) has any place in this discussion, why not think that a belief in naturalism is itself the result of random physical causes that proved to be adaptive in nature? And the truth-value of this belief? If it is true its being so is strictly a matter of luck. What, now, about the philosophy of religion and action theory? What might the former learn from the latter? Once again, it can learn something about a norm and the nature of explanation. Action contrasts with passion. When one acts one does something. On some occasions, one makes undetermined choices, where making an undetermined choice is an intrinsically active mental event. What explains one’s choice? The reason or purpose for which it is made. One’s choice is fundamentally and irreducibly explained teleologically, not causally, and one chooses well or reasonably (in accordance with a norm) when one chooses for the better of two or more reasons. Though a teleological explanation of a choice is not a causal explanation of it, it is nevertheless mental-to-mental in nature. And like the mental-to-mental causation in making inferences, the mental-to-mental teleology in choosing leads to fundamental and irreducible mental-to-physical causation. For example, if one chooses for a reason to walk to the bus, one’s choice leads to events in one’s brain which ultimately produce movements of one’s legs. We learn from action theory that there is mental-to-mental teleology, which leads to mental-to-physical causation. What bearing does this point have on religious belief? Religious people often believe that the gods or God chose to act for purposes and thereby produced mental-to-physical causation in what are traditionally termed miracles. Naturalism in principle dismisses miracles. The mental-to-mental and mental-to-physical forms of explanation involved in them are explanatorily ruled out from the beginning. Why? If naturalists occasionally choose to act purposefully and causally affect the course of events in the physical world, why is it in principle impossible for a divine being to choose to act purposefully and causally affect the course of events in the physical world? If the latter is in principle impossible, then consistency would seem to imply that naturalists themselves cannot choose to act purposefully and produce events in our world. Their choices to write and the writing of papers and books for the purpose of defending naturalism must ultimately be purposeless as the effects of blind physical causes. We have, then, the following: choice/mental-to-mental teleological explanation/reasonable or unreasonable and belief/mental-to-mental causal explanation/reasonable or unreasonable. Given the presence of “reasonable” and “unreasonable” and their implied norms in both lists, one might think that because people can be directly responsible for their choices, they can also be directly responsible for their beliefs. But this would be a mistake, accounted for by the fact that teleologically explained, undetermined choice is an action, while causally explained, determined belief is a passion. Neither religious nor non-religious persons are directly responsible (a normative issue) for what they believe. Any responsibility is at best indirect in nature and a result of choices they make. “What norms or values define excellent philosophy of religion?” A satisfactory answer relies on thought about topics in the philosophy of mind and action theory, including causation and teleology, passion and action, determinism and indeterminism, and reasonableness and unreasonableness. 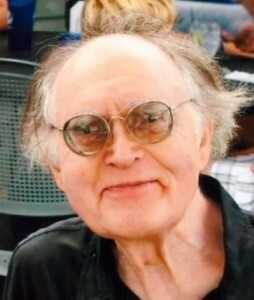 Rolf Ahlers is the Reynolds Professor of Philosophy and Religion at Russell Sage College. We invited him to answer the question “What norms or values define excellent philosophy of religion?” as part of our “Philosophers of Religion on Philosophy of Religion” series. The question is both modern and most ancient. Religion expresses finite subjects’ concern with the infinite, the Greek a-peiron, literally “the unbound”. It is since Anaximander the arche, the origin of all. Its normative, evaluative “truth”, a-letheia, literally “without forgetfulness”, necessarily remains veiled, occluded, hidden: disclosure renders it finite, thereby falsifying, hiding it. Infinity is archeologically self-sufficient, self-evident and self-justifying. It is at odds with justifying proof, a lower form of reason known in classical German philosophy as Verstand, understanding. Truth’s self-justifying infinite is therefore “known” only immediately through intuition or “faith” without the mediation of rational verification. But self-justifying infinity, the hen, the one of the hen kai pan, justifies the pan, all of determinate finitude. Christian theology knows it as “justification through grace”. Hegel said of Spinoza’s pantheist substance one must “bathe oneself” in it: Immediately known truth, also known since antiquity as “light”, is identified as higher Vernunft, reason, that enlightens both itself as also the false. It is therefore first and foremost evaluative or normative. Giordano Bruno sees it as the occhio della raggione, the eye of reason. Enlightening reason, the criterion of the true and the false, is therefore the objective and normative basis of “reality”, and yes, subjectivity can participate in it, although with difficulty. The American Spiritual knows this: “You can’t get to heaven on roller-skates”. You have to work hard to get to heaven. It is an endless, really impossible task. Grace is a gift. Normative truth is autonomous, simple and not composed, but its “world” is complex: Simple infinity and worldly complexity are coinciding opposites that imply necessary contradiction. No (infinite) soul, Leibniz said, is ever without (finite) embodiment on an endless scale of perception ranging from most to least perfection and harmony: theodiceic normativity coordinates most with least reasonableness: a coincidence of opposites – Nicholas of Cusa. The chorismos, chasm between infinity and finite outlined here far too briefly is an expression of both popular and theoretical skepsis regarding the reality of the external world that dominated all of western thought, despite Burnyeat. Skepsis, i.e. attempts to resolve conflicts between different explanations or theories, and their predictive power based on empirical evidence, is the “negative side” of normative philosophy (Hegel) and must therefore tolerate contradiction in reality which skepticism does not tolerate. Skepsis, part of true philosophy’s evaluative work, is not skepticism. Skepticism, both ancient and modern, dogmatically asserts the need for the absence of contradiction while simultaneously asserting no less dogmatically as empty dogma truth’s self-assertion, i.e. truth’s self-justification. True skepsis opposes any and all dogmatism. Skepsis, the justifying work of philosophy, tolerates contradiction in reality. Philosophy of religion expresses this provocatively in the words ho logos sarx egeneto. It states that all that is finite is fallible, not sui-sufficient and must perish but is not without hope. Hegel points to Spinoza’s self-justifying, evaluative thought and its relation to extension: finite entities are always dependent on other entities and require the concursus Dei, God’s assistance: For Spinoza all dependent objects are contained within the infinite. That is a metaphysical assumption that he has prodigiously argued. It means: contrary to finite entities, that all require other finite bodies to exist and “must perish”, they are viewed by Spinoza sub specie aeternitatis. But that has consequences for extending entities that we call “bodies”: There is a contradiction between looking at finite entities with or without that divine assistance. But this is an expression of that ancient skepsis (not skepticism!) about the reality of the external world at the threshold of modernity, a skepsis that produces the need to argue and justify these issues: They are not obvious. Sub specie aeternitatis finitude is rooted in metaphysical eternity which is, however precisely because of its pantheist infinity enclosing all and is never disembodied. That means finite entities are real only in a contradictory way. Skepticism hopes to eliminate all contradictions. such as, for example, asserting as valid both A=A which means that A=A cannot simultaneously be identical to A=B and A≠B. All finite human beings have infinite dignity, a metaphysical proposition – “John is a human being, A=A, i.e. he has infinite dignity, A=B”. But as finite human beings, the criminal – “John the criminal and has only finite, not infinite dignity, A≠B”. Predictive positive science that is empirically adequate, internally coherent, and broadly applicable does not tolerate the contradiction between asserting both A=B and A≠B. For such science does not tolerate metaphysical assumptions, seeking only secular norms. It should be added the need for consistence, coherence and predictability of judgment was asserted already by Plato who, however, also argued against that perspective coherence and the need to tolerate contradiction and incoherence. This is nothing new. But our culture, dedicated to anti-metaphysical secular science seeking seamless coherence faintly remembers the (metaphysical) grounds for asserting both A=B and A≠B. Our laws insist on inalienable human dignity in the refugee, patient, the criminal and the prisoner of war. But the quest for coherence no longer tolerates the fertile, normative grounds of an intellectual culture that has produced those cultural convictions. In sum, coherence, lack of inconsistencies and contradiction and predictability of the outcomes of theoretical assumptions based on empirical evidence can be affirmed by the major thinkers mentioned here only in the context of their assertion of the basic normativity of truth. Traditional metaphysical assumptions are not empty verbiage: Classical thinkers could spot the empty talker with unerring certainty. Socrates’ many conversation partners such as Callicles in the Gorgias often turned out to do little more than spout empty words. Callicles aims at practicality and applicability. “You must be practical” he tells Socrates. “If not, you will stand there like a fool with an open mouth not knowing how defend yourself. Not only will you look foolish with your incoherent stammering. You will endanger your life: If you lack the practical tools of logical arguments in a court of law where someone has unjustly accused you, you might well be condemned to death for a deed you did not commit.” Jesus, accused unjustly for crimes he did not commit, stands like a fool before Pilate who urges him to be practical and defend himself. Jesus, the light that enlightens not only God’s truth but also the world’s darkness, remains silent like a fool. He is most impractical. 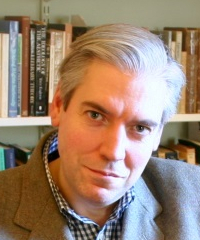 Tim Mawson is Edgar Jones Fellow and Tutor at St. Peter’s College, University of Oxford. We invited him to answer the question “What norms or values define excellent philosophy of religion?” as part of our “Philosophers of Religion on Philosophy of Religion” series. My answer would be that the norms governing the Philosophy of X are that one should be reaching important truth (and avoiding important falsehood) via good argument(s) about X. When X takes the value of Religion, the focus is on the issue of whether or not there’s a God.